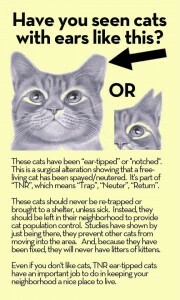 Eartipping is an effective and universally accepted method to identify a spayed or neutered and vaccinated feral cat. It is the removal of the distal one-quarter of a cat’s left ear, which is approximately 3/8 inch, or 1 cm, in an adult and proportionally smaller in a kitten. 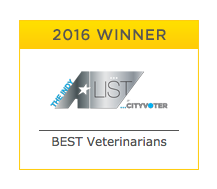 This procedure is performed under sterile conditions while the cat is already anesthetized for spay or neuter surgery. There is little or no bleeding, it is relatively painless to the cat, and the eartip does not significantly alter the appearance or beauty of the cat. 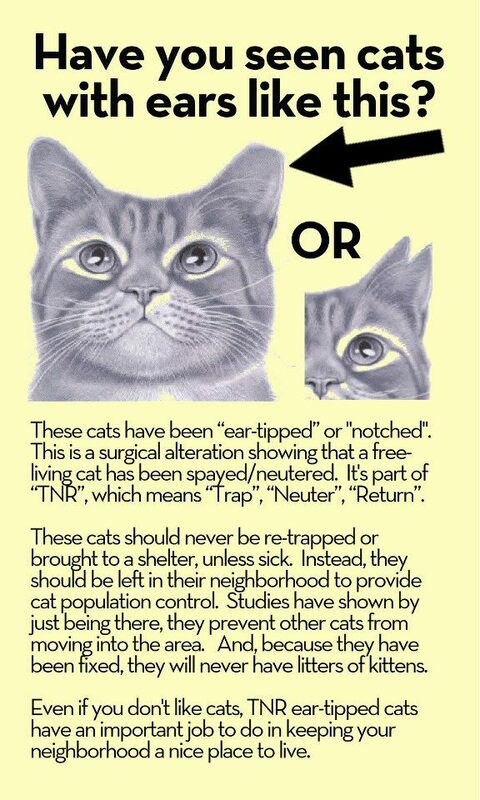 An Ear tip is the preferred method used to identify spayed or neutered and vaccinated feral cats. Because it is difficult to get close to feral cats the identification must be visible from a distance. Feral cats may interact with a variety of caregivers, veterinarians, and animal control personnel during their lives and so immediate visual identification is necessary to prevent an unnecessary second trapping and surgery. Tattooing is not effective because the tattoo is not visible until cats are trapped and anesthetized. Eartags are ineffective because they can cause infection, drop off, or tear cats’ ears. Collars are not safe or practical for feral cats, because: as the cats grow and gain weight, the collars will tighten and could strangle them; the collars could get caught on something and severely injure or kill the cats; and the collars could also fall off leaving the cats unidentified. Microchipping alone is not effective because it does not allow for visual identification. It is only effective once cats have been trapped and taken to a shelter or clinic that uses a scanner to find implanted microchips. It does not prevent unnecessary trapping. Some areas of the country may use another type of ear tip protocol (like eartipping the right ear, or ear-notching). While we still promote the ear tip as it is described above because of its universal acceptance, you may want to research and use your local standard for the best outcome for the cats.